Vestebro has had an extraordinary transformation in recent years. The industrial area which once was rife with prostitutes, tacky shops and butchers is now home to some of the hippest eateries in Copenhagen. 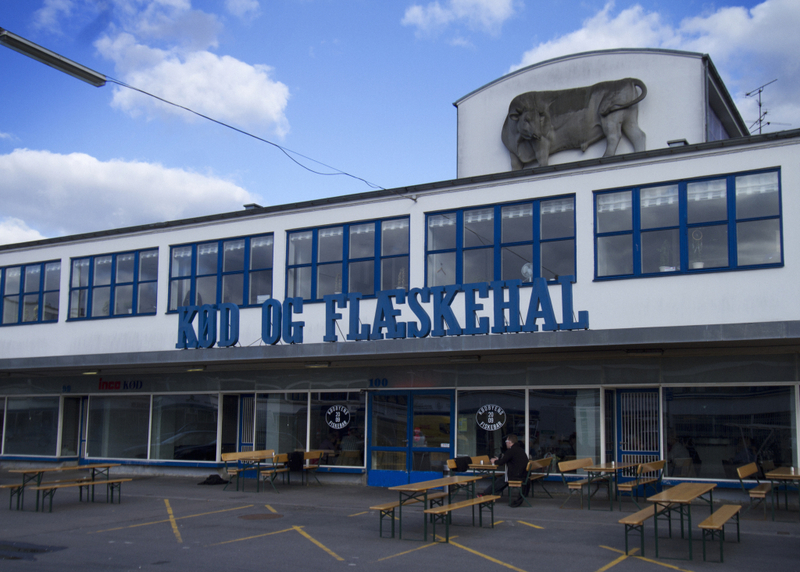 Perhaps one of the most famous restaurants in Vestebro is Kødbyens Fiskebar, nestled in the heart of the still functioning Meat Packing District. The restaurant is the brainchild of former Noma sommelier Anders Selmer and is one of the early pioneers in the rejuvenation of the district. 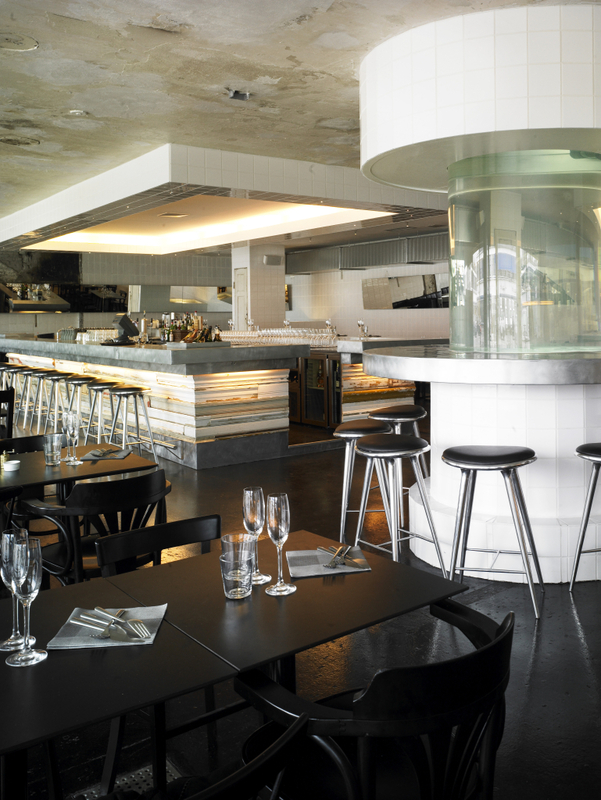 Opened in 2010, it has recently been awarded a Bib Gourmand in the Michelin Guide for Nordic Cities in 2015. Unfortunately by the time I called to make a booking, they were completely booked out on Friday night but I was told outdoor and bar seating were available for walk–in customers if we got there early. The restaurant opens at 5.30pm on a Friday for dinner but the kitchen doesn’t officially open until 6pm. Amongst the hipsters donning black trademarked tops is a rather surly maître d’, who gave us a far from happy welcome. I kept my fingers crossed that it wasn’t a sign of things to come. Fortunately there was a cancellation at the last-minute and we were seated in the main dining room inside. By 6pm the restaurant is completely packed. The alfresco tables turn into a roaring beer garden of sorts, filled with couples and families drinking beer and soaking up the sunshine. The atmosphere is laid back and relaxed, without the pretension of similar standard restaurants. 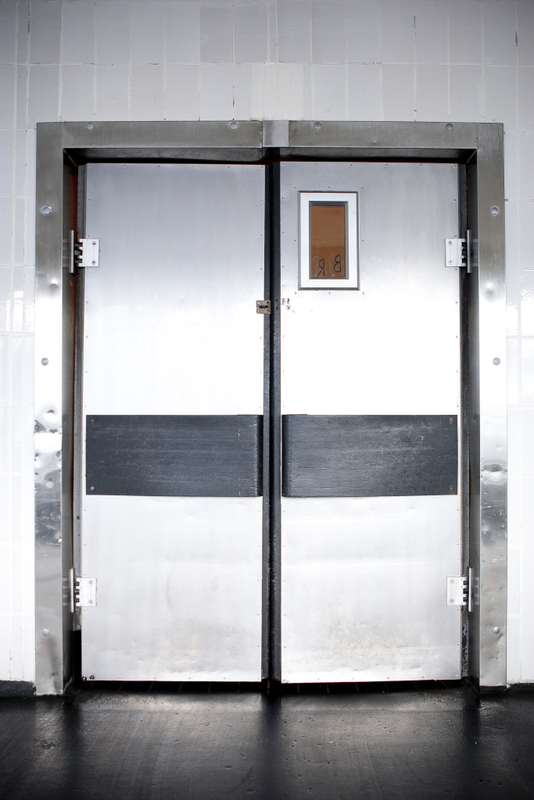 The interior is far from “pretty” with its slightly austere industrial feel. But it’s good to see the spirit of the former meatpacking store remains. There’s meat hooks dangling precariously from the ceiling, the floors are made up of semi polished concrete and the walls are covered with industrial subway tiling. 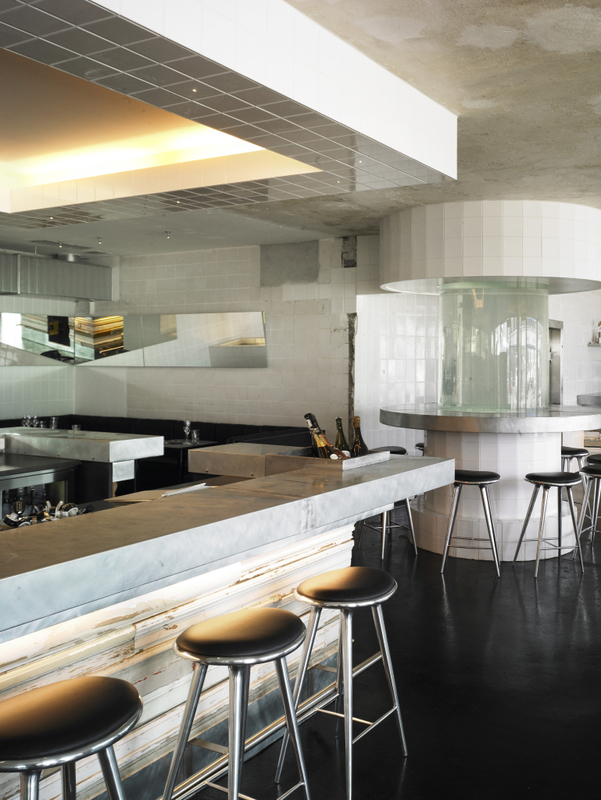 A large Manhattan-style wrap around bar takes centre stage, surrounded by bar stools and a huge 1,000 litre cylinder shaped aquarium which doubles as a raw bar. Even the bathrooms are an experience. Behind the non descript doors is a dimly lit bathroom where you can hear the sound of large water drops. 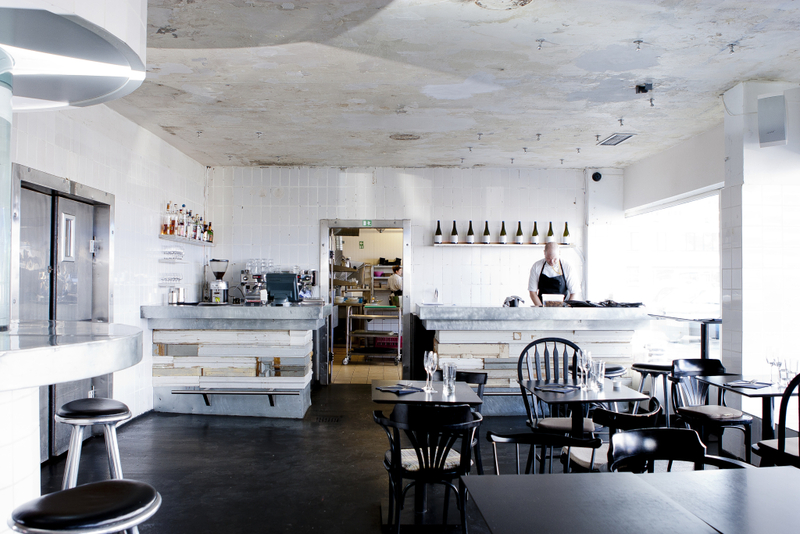 True to its name, the focal point at Kødbyens Fiskebar is of course the fresh fish and seafood. Standard dishes like fish and chips, scallops and oysters are given a contemporary makeover and a new Nordic twist. 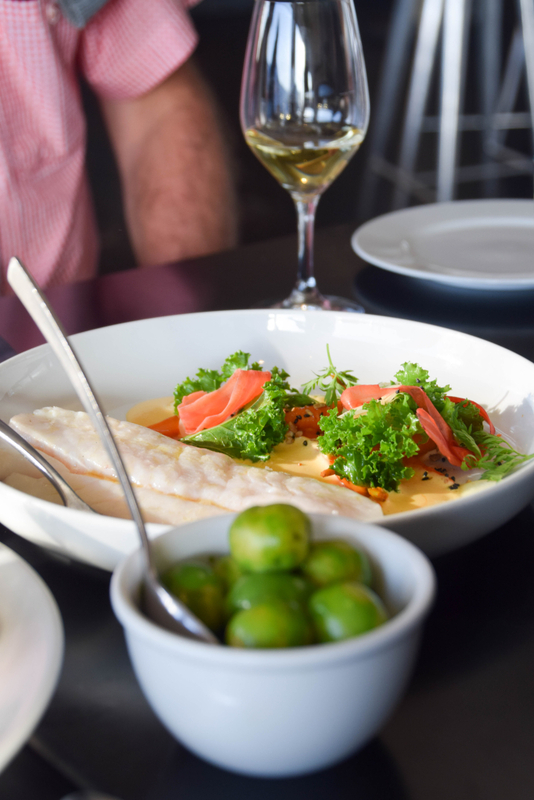 The restaurant focuses on seasonal produce, with a special emphasis on local produce and sustainability. Heat from the stoves is reused to heat the restaurant, local produce is sourced to avoid transport pollution and ecological products are used whenever possible. At the helm of the kitchen is Head Chef, Jamie Lee, who cooked under Jason Atherton for the Gordon Ramsay Group. If you’re feeling hungry, choose the 7 course tasting menu ‘Below the surface’ priced at 600 kroner per person. Otherwise you can choose from a sumptuous selection of items from the raw bar, oysters and a wide range of medium and large plates. 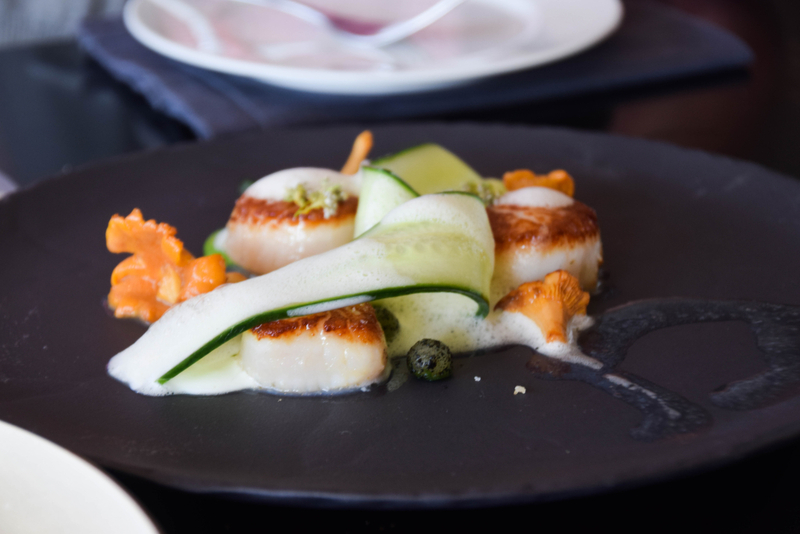 We started with a trio of North Atlantic scallops (170 kroner) which are perfectly seared, allowing the white flesh within to be succulent and tender. A drizzle of white foam conjures up feelings of the ocean where the water meets the sand. Dressed with a wafer thin slither of cucumber, seaweed, chanterelle and lemon a medley of earthy and fresh flavours combine to create a perfectly balanced dish. 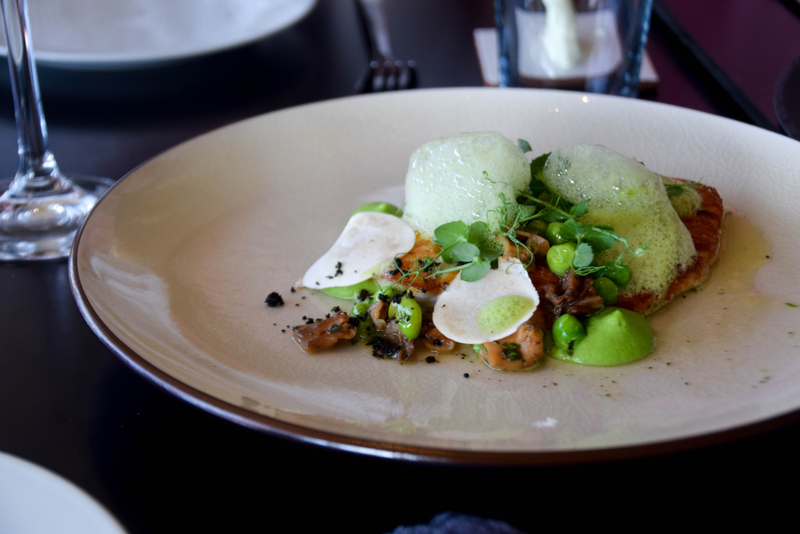 Next is the Western Shores Plaice (125 kroner) served with pan-cooked peas, morrels, bone marrow and tarragon. The plaice is nicely cooked with a slightly golden char and is topped with an almost luminous green foam. The earthy flavour of the morrels combine beautifully with the unctuous bone marrow and a touch of tarragon cuts through the richness of the dish without overpowering it. A generous bowl of blue mussels (155 kroner) are steamed in apple cider and sprinkled with finely diced potatoes and herbs while a perfectly cooked cod baked in brown butter (245 kroner) is an absolute must-order. The cod literally fell apart from the slightest fork nudge, allowing the melted brown butter to further seep through it. 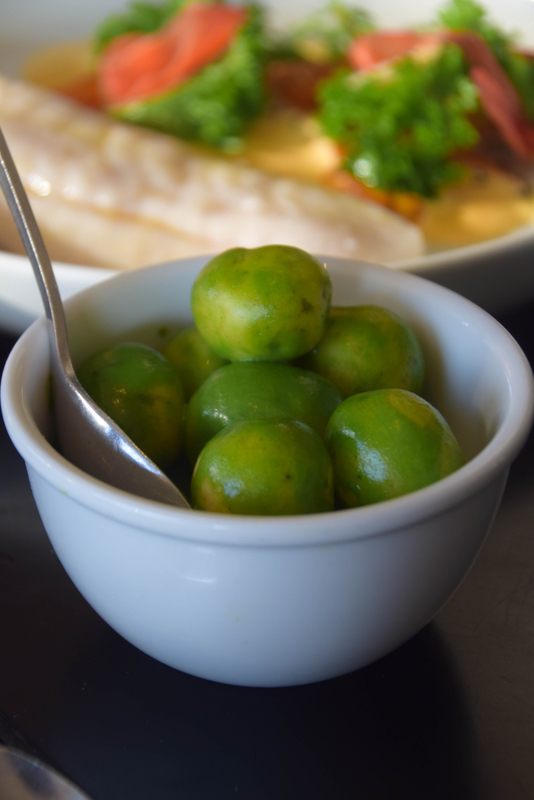 A side order of boiled potatoes was a nice touch, smothered with a light coating of tarragon which gave them a distinctive bright green colouring. I would have loved to order the cheese or dessert tasting platter but my purse strings have already been tugged to the absolute max in this expensive city. Unfortunately the dinner ended on a slightly sour note after being charged a whopping 50 kroner each for drinking water. I should have queried at the time but I guess that’s the price you pay for being a tourist in Copenhagen! The food is exceptional at Kødbyens Fiskebar but charging the equivalent of nearly $10 per person for drinking water is highway robbery. The service, particularly the maître d’, was very disappointing. Lucky the food more than made up for it. 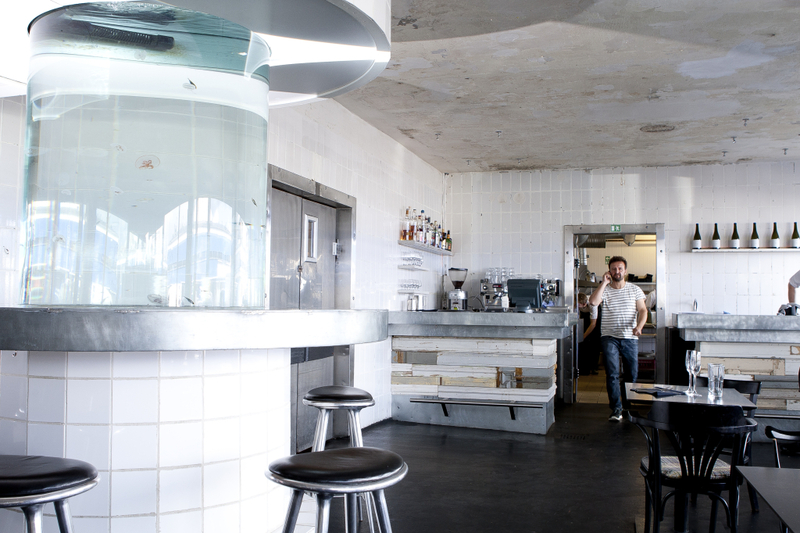 This isn’t your average seafood restaurant!